A chartered graduate based in Stirling with over twenty years professional experience in business strategy, influencing and policy development, operational and strategic management across hospitality, energy, skills, social enterprise, public and communication sectors. 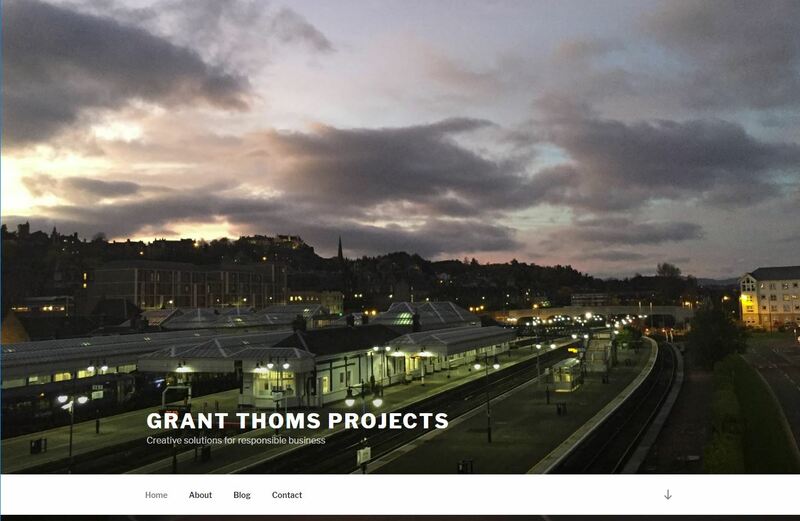 Grant Thoms Projects provides creative solutions for your responsible business. Whether you are big or small, private or third sector, they have the experience, skills and understanding to help you grow and develop. Head over to the website to find out more. If you'd like a dotscot domain name, you can register your .scot domain name with Calico now.